Recent reports have shown how hard the finance industry is working to tackle fraud, with roughly two-thirds of attempted fraud being prevented. But despite a decrease in financial losses, cases of fraud are still high and indicate that there is more work to be done. By benchmarking intelligence capability, those in the finance industry could massively improve prevention and further add to the impressive work they are already doing to stamp out fraudsters. Having access to high-quality operational intelligence enables organisations to make tactical and strategic management decisions so they can adapt quickly to a changing environment or scenario. But what exactly are the statistics? In 2017, £1.46 billion worth of attempted fraud was prevented – this is money that could have further funded malicious criminal acts. 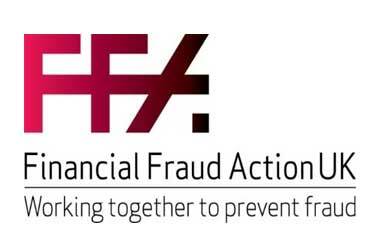 There was also a 5% decrease in unauthorised financial fraud losses due to payment cards, remote banking and cheques. But despite the decrease in incidents, these losses still totalled an astonishing £731.8 million. It is clear when we take a closer look that there are still challenges and the range of tactics used are ever changing. There was an 8% decrease in the value of card fraud – the first decrease reported in 6 years – with losses totalling £556 million in 2017 as opposed to £618.1 million in 2016. However, despite a decrease in value, the number of individual incidents continues to increase, with an alarming rise of almost 1 million additional cases in the past 5 years (1,874,002 in 2017 as opposed to 997,507 in 2012). One method which increased both in volume and value last year was online banking fraud. The tactic most widely used by fraudsters for online banking fraud is social engineering; tricking customers into providing their security details through scam phone calls, SMishing texts and phishing emails. Last year the volume of online banking fraud increased 8% to 21,784 cases, while the value increased by a staggering 19% (£121.4m). The cutting-edge Level 4 Diploma in Intelligence Operations, which now represents the highest level of vocational training available for those working in this sector, could be a key tool to support your organisational and customer security. To add to the range of benefits this qualification provides, it is now possible for larger levy-paying organisations to achieve the Level 4 Diploma as part of an apprenticeship framework and make cost-effective use of the Apprenticeship Levy. Intelligencia Training are intelligence analysis and cyber security specialists that operate within both the public and private sectors. They currently engage with an ever growing number of high profile public and private sector organisations and Government agencies delivering the innovative, engaging, nationally accredited qualifications. Based at Suite A4, Chadwick House, Birchwood Park, Warrington, WA3 6AE, you can contact Intelligencia training on 03330 431 440, alternatively you can email info@intelligenciatraining.com. For more information on the services they provide, please visit www.intelligenciatraining.com.